Change your gut, change how you feel. 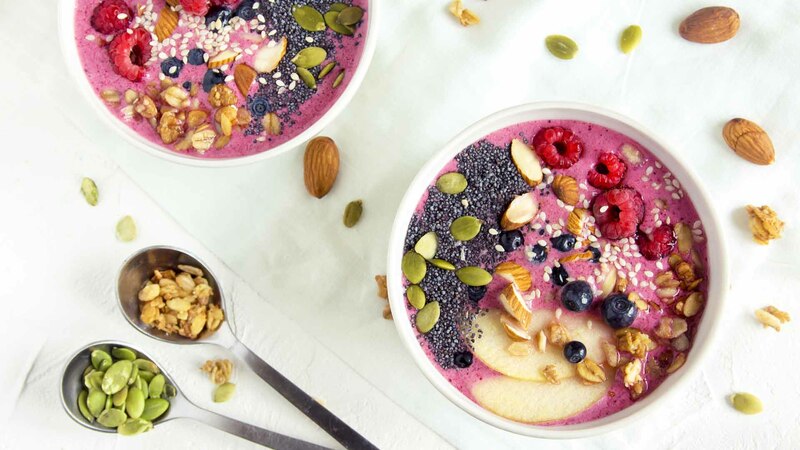 Dietitian Simone Austin explains how to help the good bacteria in your gut flourish – and how that can boost your health. One of the topics currently getting the nutrition and medical world excited is gut flora, also known as the gut microbiome. These are microorganisms like bacteria, fungi and viruses living in your gastrointestinal tract, otherwise known as your gut. We all have our own unique colony. Protecting against harmful bacteria by lining the gut and making antimicrobial compounds. Making vitamin K and a variety of B group vitamins. Digesting carbohydrates such as fibres in the colon that would not be otherwise broken down, like resistant starch and insoluble fibres. This produces short chain fatty acids and gases that are beneficial for the health of the colon, and in some cases protective against colon cancer (eg. butyrate). Producing chemicals that enter the blood stream and ‘talk’ to other organs like the brain and liver. Aiding digestion and bowel function. Disruption of gut microbiota may also have influence on conditions such as obesity, non-alcoholic liver disease, anxiety and depression, but the method is still not understood. One of the most exciting parts is that we can make positive changes to the gut flora and its function with the way we eat. You can quite quickly change your gut colony – changes have been seen in a number of days when people change from a high animal-based diet to one that is plant-based. With the right food, your gut flora will flourish – just like fertilising your garden plants at home. In particular, the good bacteria in your guts feed on certain types of dietary fibre. The Australian Dietary Guidelines recommend eating at least 25 g of fibre per day for women, and 30 g per day for men. Insoluble fibre. This type of fibre helps bulk up stools and keep you regular. You can find it in wholegrains, nuts, seeds, legumes and the outer skin of fruits and vegetables. Soluble fibre. This slows the breakdown of carbohydrates, keeping you feeling full and preventing blood sugar spikes. To get soluble fibre, eat fruits and vegetables, legumes and oats. Prebiotic fibre. This is a type of soluble fibre that feeds gut bacteria that help absorb certain nutrients and stimulate hormone production. It is found in cereal grains, vegetables (including asparagus, onions, garlic and cabbage), legumes (like chickpeas and lentils), fruit (such as bananas and nectarines) and nuts. This is an exciting area of research, but we still need to learn more. Resistant starch. This is formed when you cook some carbohydrate foods (for example potatoes and pasta) and let them cool. It is also found in underipe bananas and overnight soaked oats. The starch is resistant to digestion in the small intestines and passes to the large, where it stimulates bacteria to produce butyrate gas. This helps keeps the colon lining healthy. To maximise your gut microbiota with dietary fibre, aim for the simple nutrition message of ‘two and five’ – two serves of fruit and five serves of vegetables each day. Throw in a handful of nuts, some wholegrain breads and cereals and legumes and you might have the best looking ‘gut garden’ around. Another ingredient for gut health is probiotics – introducing some good bacteria to your gut to help improve the balance. This is particularly important after a course of antibiotics, which can wipe out lots of gut bacteria. Generally for a health benefit you need to pick a bacteria strain that is specific, for example, looking for immune benefits or bowel regularity. You can find various types of probiotics in foods like yoghurt (check the quantities of probiotics as some can be low), milk drinks like kefir, and other fermented foods like kombucha (be careful if making your own – you only want beneficial strains of bacteria! ), kimchi, miso, tempeh, sauerkraut (only if not pasteurised, as this will kill the bacteria) and sourdough bread. Simone Austin is an Accredited Practising Dietitian and Advanced Sports Dietitian. She is currently President at Sports Dietitians Australia, dietitian of Hawthorn AFL football club and has previously worked with the Australian Men’s Cricket Team, Melbourne Storm Rugby League and Melbourne City A League soccer teams.